as snackers, we faced a dilemma – we craved delicious, but knew we should choose healthier. we’re from california, after all, and what we were looking for just didn’t exist in the snack aisle. so we went to work. and after a lot of research (snacking), we found a way to pop a chip that had all the flavour and less of the fat and other stuff that gives snacking a bad name. and that’s how we discovered the magic of popping a chip, alright, alright, crisp. we were so excited about popchips, we couldn't keep them to ourselves. so we shared with our fellow snackers, and popchips quickly became one of the fastest growing snack brands in america. apparently the word (and bag) got out in the u.k., where you obviously know a good thing when you taste one. we got such an outpouring of snack love from our fellow british snackers, well, we just had to share the bag. so now we’re excited to be popping in the u.k. – especially since you’ve been asking so nicely. and even if you do insist on calling it a crisp. if there’s anything i like more than snacking, it’s the challenge of a new business. just tell me it can’t be done, and i’m inspired. as a serial entrepreneur, it’s what i’ve been doing for the past twenty+ years. it’s what gets me out of bed (too early) in the morning. it’s what keeps me up at night. popchips has really given me something to sink my teeth into. finally, my penchant for snacking together with my passion for launching a new business. of course, it doesn’t hurt to have a great partner and a great idea. the ride has been amazing, and judging from the momentum, the best is yet to come. I'm a foodie. and i’ll try anything once. that’s why i love everything about the food industry — from eating at great restaurants to starting food businesses to snacking. obviously. 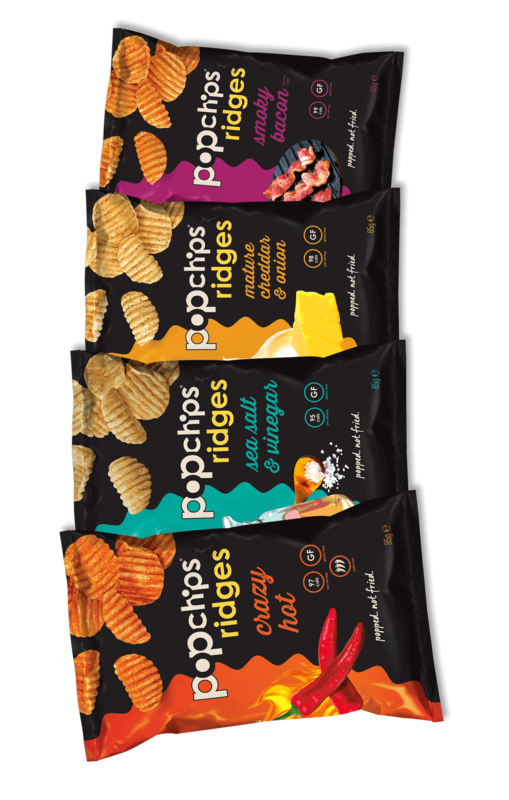 with 20 years of food and retail experience under my belt, starting popchips was an all-natural next step for me. i managed costco’s snack packaging business and i launched several other businesses including costco’s executive membership and gas station businesses. in addition to being a food junkie, i’m a data junkie. i can really get my nerd on about identifying a nuanced trend in the data that others may be missing. i’m also driven by looking for opportunities to do things differently that others might have considered fully developed. other favorite things—my wife and two chips off the old block, sports, the beach and being outdoors, a good indie film, and causes that support at-risk kids.